What facts do you know about heavy trucks? How many types of them are there? Let’s look at these two questions in details. Heavy trucks, heavy-duty trucks, tractor-trailers or semi-trucks weigh between 11794kg to over 14969kg. The first heavy truck was manufactured in the 1910s. Charles Martin creaed a tractor with gasoline power to pull commercial carts. In 1914, August Fruehauf set up a trailer producing company where they made a boat trailer for a lumberjack, who later became its constant customer and bought many trailers to develop his business, thus Fruehauf was popular for trailer assembling. DUMP TRUCKS – trucks used to ship sand, gravel, dirt and other loose material. They first appeared in the nineteenth century in Europe. In the US dump trucks were firstly produced around 1910. Nowadays all dump trucks make operations by hydraulics and you may find dozens of configurations to meet the customers’ needs. 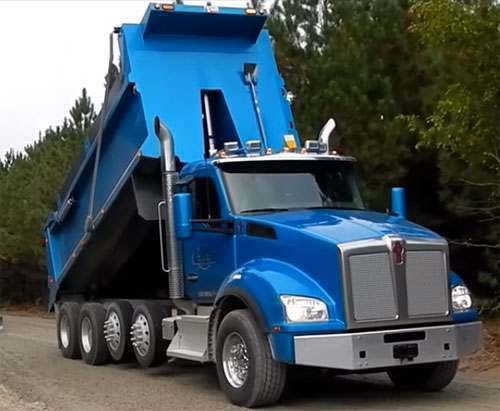 Here we can mention the following types of these trucks – Standard dump truck, Transfer dump truck, Superdump truck, Side dump truck, Winter service vehicles, Off-highway dump trucks and some others. REFRIGERATOR TRUCKS – trucks used to transport cargo at definite temperatures. They can be insulated and ventilated. Some of them can be cooled with ice and they are usually equipped with some refrigerating system. The first example of this kind of truck appeared in about 1925 when the ice-cream business was developing. TANK TRUCKS (TANKER TRUCKS) – transit gases, dry bulk cargoes and liquefied loads. There can be different configurations for single load or multiple loads, they can be insulated or non-insulated, pressurized or non-pressurized. Tank trucks are considered to be the most difficult to be driven because of their high center of gravity. GARBAGE TRUCKS (DUSTCARTS) – trucks used to collect municipal rubbish. These trucks can be seen in almost every city or town. The first garbage trucks appeared in 1920s. 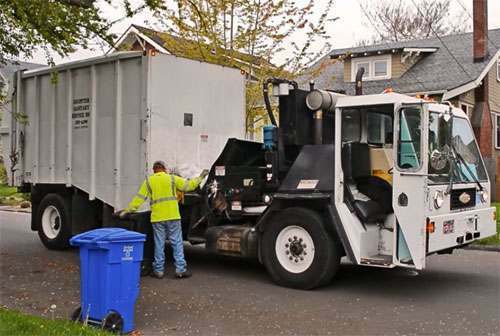 The main types of garbage trucks are: Front loaders, Rear loaders, Side loaders, Grapple trucks, Roll-offs etc. MOBILE CRANES – are used to lift heavy loads using a wire rope, a drum and chains. The main types are: pick and carry train, truck-mounted crane, sidelifter crane, crawler crane, railroad crane, rough terrain crane, and many others. CONCRETE MIXERS – used to transit and mix concrete. The concrete mixer was invented by Gebhardt Jaeger. There can be industrial mixers, concrete mixer trailers, metered concrete trucks, self-loading concrete mixers and others.